Here is our Fluval FX6 Review! It’s predecessor Fluval FX5 had dominated the market for almost a decade. Let’s find out how much improvement Fluval made with their flagship model FX6. Can we call it, “The” Ultimate Filter in the fish keeping hobby? Don’t forget to check out the cons! On our Fluval FX6 Canister Filter Review, we will be investigating what makes it quite a good aquarium filter. But is FX6 really worth its beefy price tag? Let’s find out! We have included the FX6 in our top 10 best fish tank filters reviews as well! 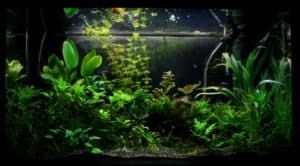 Who Should Buy Fluval FX6? The powerful pump system of FX6 ensures filter circulation of 538 US gallons per hour as well pump output of 925 US gallons per hour. There is rule of thumb in the aquarium hobby that filtration should be 6x of the total water volume of the tank. But FX6 has an extremely efficient filtration system which gives it a competitive edge to server even larger tanks. 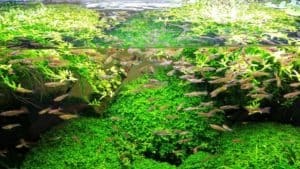 If you have got a large aquarium or maybe even a medium-size one, FX6 will surely be sufficient. As the word goes – there is no such thing as over filtration! Most of the canister filters need priming before first use, and fortunately, FX6 has an instant-start priming system to get it working in just minutes. Though auto priming devices are standard in modern canister filters, they are of great value. You will only need to wait for 1 minute for the filter to pump water and another 2 minutes for it to drive out the air from the system! With inbuilt monthly indicator signals, FX6 lets you remember the last time you performed maintenance. However, the high level of efficiency of this filter can allow you to not worry about often maintenance at all! Both input and output nozzles can be flexibly regulated to create directional water flow. This will be of great use if you, for example, want to reach the distant corners of the aquarium. Plus, you will have more control over the efficiency of FX6. Fluval FX6 comes with high-volume media baskets. Overall, FX6 can accommodate 5.7 liters of filter media, which should be quite enough for the whole range of supported aquariums. FX6 supports any type of filter media, be it mechanical, biological, or chemical. 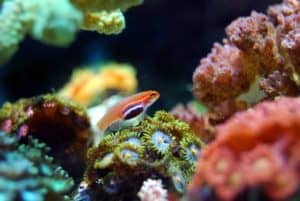 While this aquarium filter comes with filter media, they won’t last too long, so you should also think about getting spare media if you want to ensure constant water filtration in your aquarium. The AquaStop valves allow you to regulate the water flow of both the intake and the outflow tubes. In addition, you can do a 90-degree turn of the valves to stop the water flow, which in its turn will allow you to perform maintenance. But before, you definitely should purge all the water from the filter. Fortunately, FX6 has a purge valve to allow you to quickly remove the water from the canister with a simple turn. With the precisely engineered bearing, FX6 features minimized vibration and thus operates quietly. If you keep your fish tank in the bedroom, FX6 may be the right aquarium filter for you. And lastly, Fluval FX6 comes backed up by a 3-year warranty. Supports large tanks with up to 400 gallons of capacity. Easy to prime thanks to the built-in automatic priming system. The maintenance reminders help you keep track of the date of the last filter maintenance or water replacement. Purge valve to quickly empty the canister with. Media baskets with total capacity of 5.7 liters. Backed up a 3-year warranty. As one would have expected, FX6 is quite bulky. You will need to buy more filter media because the stock amounts won’t be enough for too long. Though only the filter foam or activated carbon requires frequent changing. Biological filter media, like bio-ball or ceramic rings can be used almost lifelong. For quite a long time Fluval FX6 seemed unstoppable with it’s quality and performance. There are lots of filters available in the market that have similar flow rate or other features, but it is quite difficult to beat FX6 to be honest. Recently I am using one filter from OASE which is proving itself quite outstanding and could be a good competitor for Fluval FX6. Let’s check out the product. Fluval FX6 aquarium canister filter is not cheap. Should you pay the high price for its features? If you absolutely need its functions, yes! 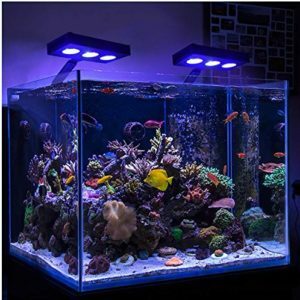 If you are going to buy or already have a large aquarium, you need to have a powerful filter as well, and FX6 is a nice choice. But if your fish tank is upto 240 Gallon you are good to go with FX6’s little brother Fluval FX4! All in all, FX6 will be capable of dealing with any type of waste or debris, though be mindful that it will depend on the kind of media you use and also the number of pets in the water. Quiet operation means that FX6 could be put in your bedroom aquarium. However, because noise tolerance of each of us is different, you should make sure that the noise produced by this model won’t disturb your sleep. Yes it comes with the filter media. Also it is possible to use some media of your own choice like Seachem Purigen or Activated Carbon. Q. What about the longevity of this filter? Customer reviews say people are using this filter for more than 2 years without any issue. Just do the monthly cleaning and occasional filter foam change and you can use it for a very long time. Q. Will it fit the plumbing that was done for a FX5? Yes, absolutely! The hose size matches exactly with the previous FX5. So you don’t need to worry about it. For some more questions you can check the FAQ section of Fluval. Or simply put a comment below in our comment section and we will reply as soon as possible. 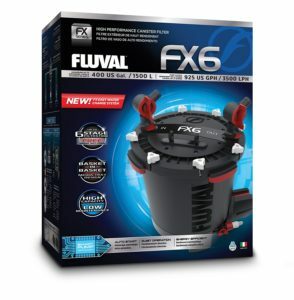 As the product Review of Fluval FX6 Canister Filter showed us, FX6 is among the most efficient filters one could get. It is highly rated across the Internet as well. However, it doesn’t mean that you need to buy it necessarily. While FX6 is a great model, you shouldn’t overpay for the functionality you don’t need. Have a small 100-gallon aquarium? You could buy FX6 and get absolutely mind-blowing efficiency, but maybe you shouldn’t do it. On the other hand, if you have the budget, there is no reason for you not to go and get this model! 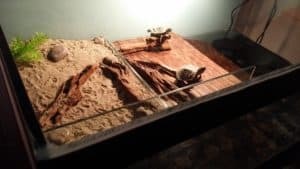 I WOULDN’T recommend if you have sand substrate . The filter motor is at the bottom and can easily get damage by sand. My fx6 only lasted 2 yrs and sounded like and helicopter landed in my living rOom . You would think That a $300 filter cOulD handle sand.I also was not impress with the cleaning capabilities of the fx6 and I will stick with Eheim classics filters with the motor at the top of the canisters. PrevPrevious PostWhat Impacts Fish Tank Temperature?